This is a proposed advertising campaign. 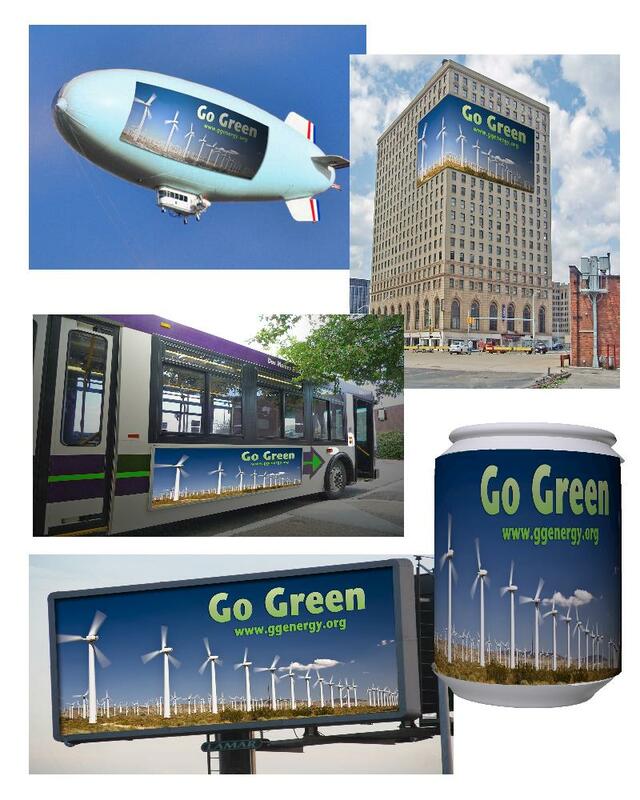 The Go Green graphic banner is designed to be placed on different surfaces around town. This collection helps the client to see what their ad will look before purchasing and installing it. 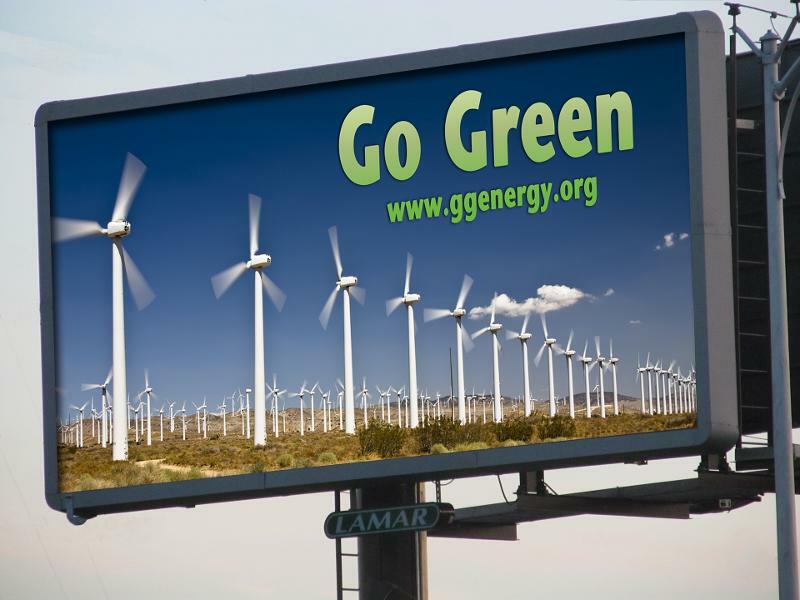 I designed the Go Green banner by searching for images that convey the spirit of clean efficient energy production. The font is strong, bold and has a slight shadow which helps it stand out from the background image. The green font visually restates the company name, and the green shading suggests activity. These words are not, and never will be stagment. 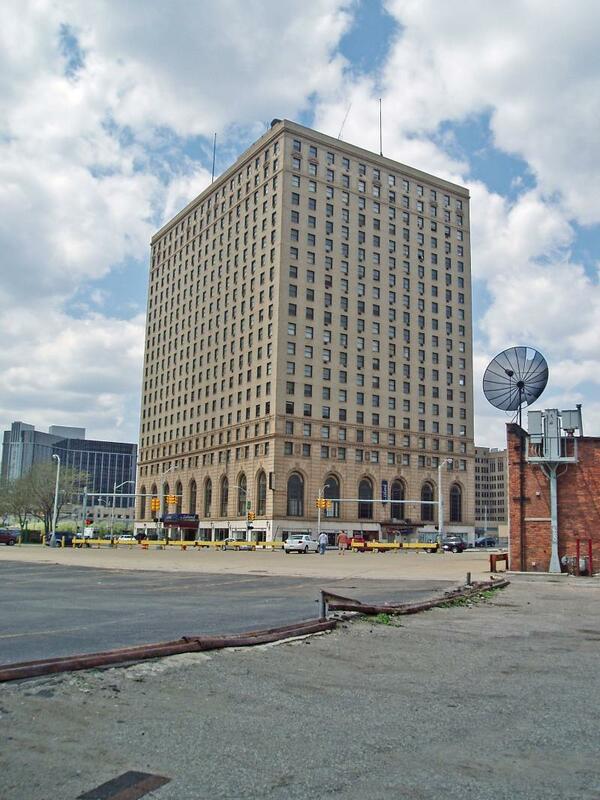 The photograph of the building has been cleaned up. Gone are wires, antennas and broken pavement. 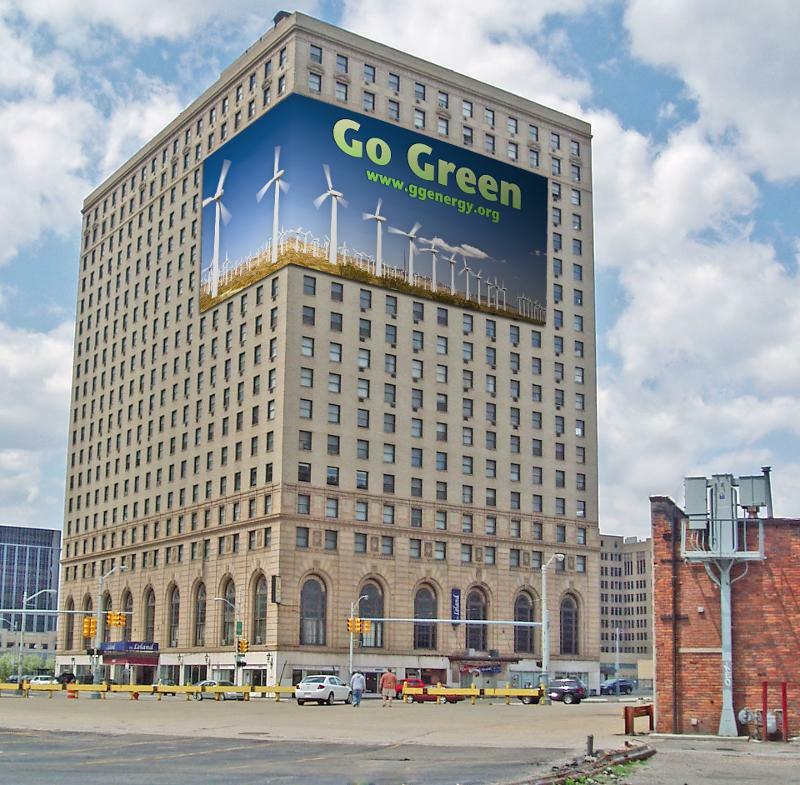 The viewer is closer to the building and the Go Green banner. The picture is brighter and the short side of the a banner was given a bit of extra lighting, so that it matches the rest of the building which has side light illumination. The banner looks great on this billboard. Wires were removed to clean up the photograph. A bit of shadowing was added since the light source is from behind in the original billboard photo. 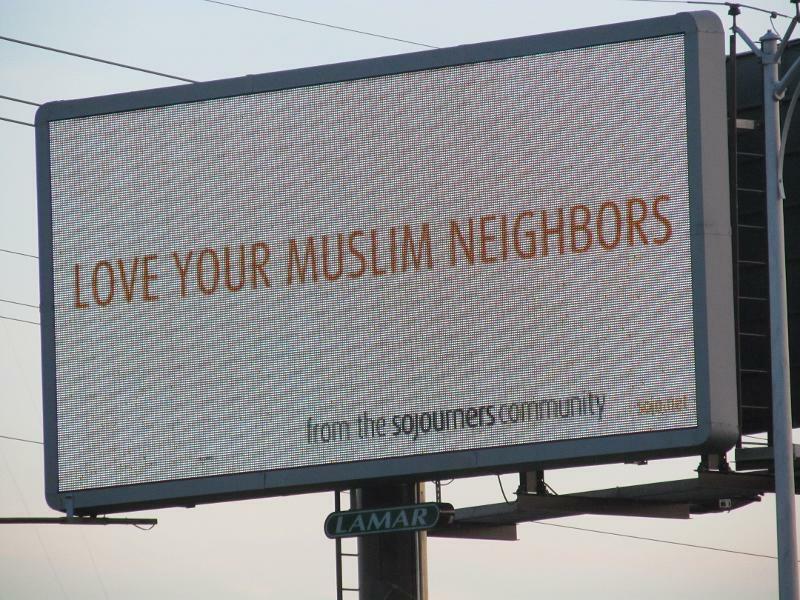 The banner was skewed so that it fit into the billboard frame and appears to be viewed from an angle. Shadows were also added to give dimensionality along with the billboard's design to naturally frame any banner that is placed inside of it. 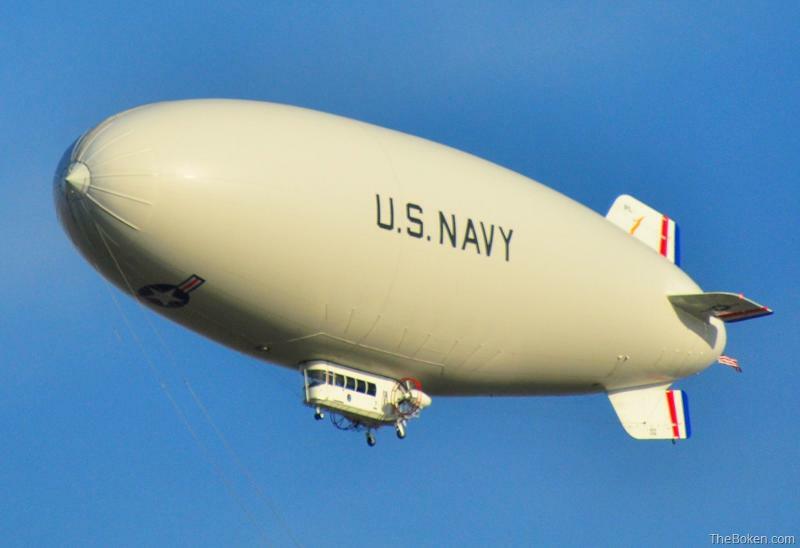 The blimp color was changed to a light blue and the US Navy markings were removed. Color was added to the stripes on the tail fins. The sun has created a glare spot on the blimp, so glare needed to be placed on the banner in that area. 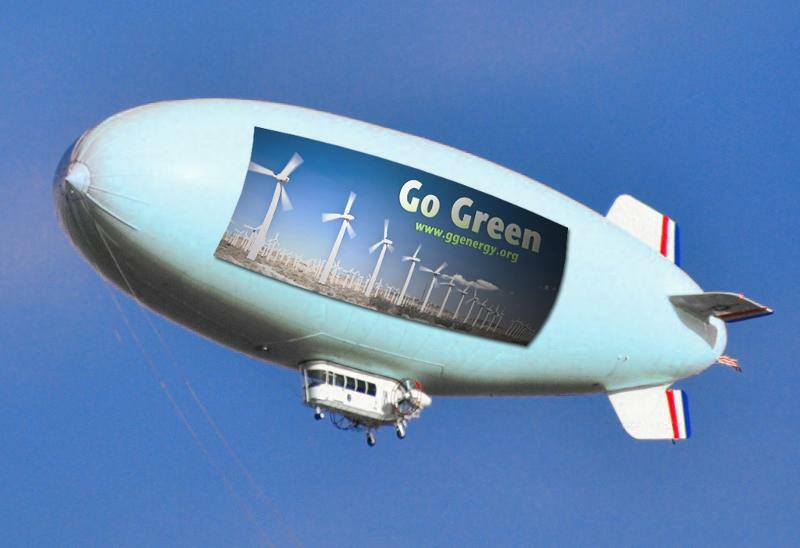 The banner was stretched and curved to follow the curves of the blimp. Dark shadows appear on the side of this bus. They were reduced so that the banner would be easier to see. 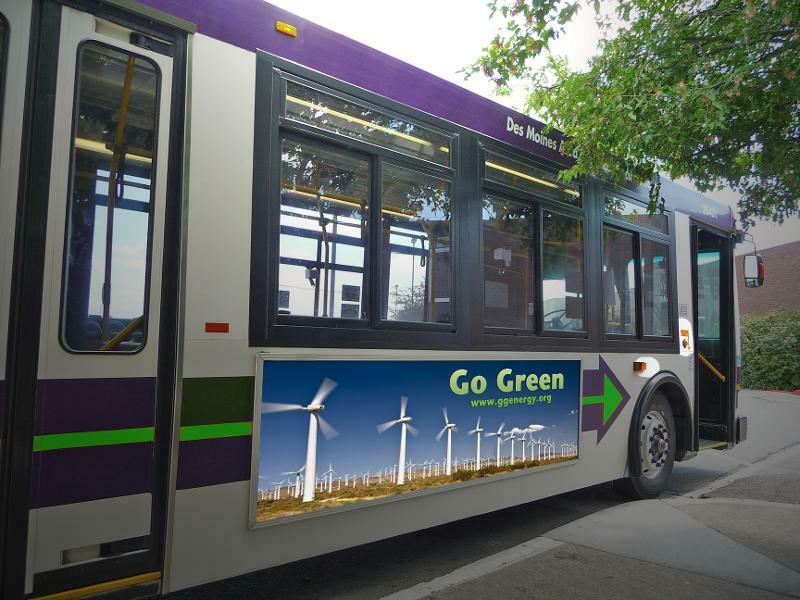 Shadows were place on the banner so that it blended in with the shadows on the side of the bus. The banner was altered to follow the perspective angle present on the bus side. Warning lights and the decorative stripe on the side of the bus had color changes. Bus windows cleaned up by having wires removed from them. Front marker lights were given reflective circles which help illuminate that area, which is used primarly for bording. 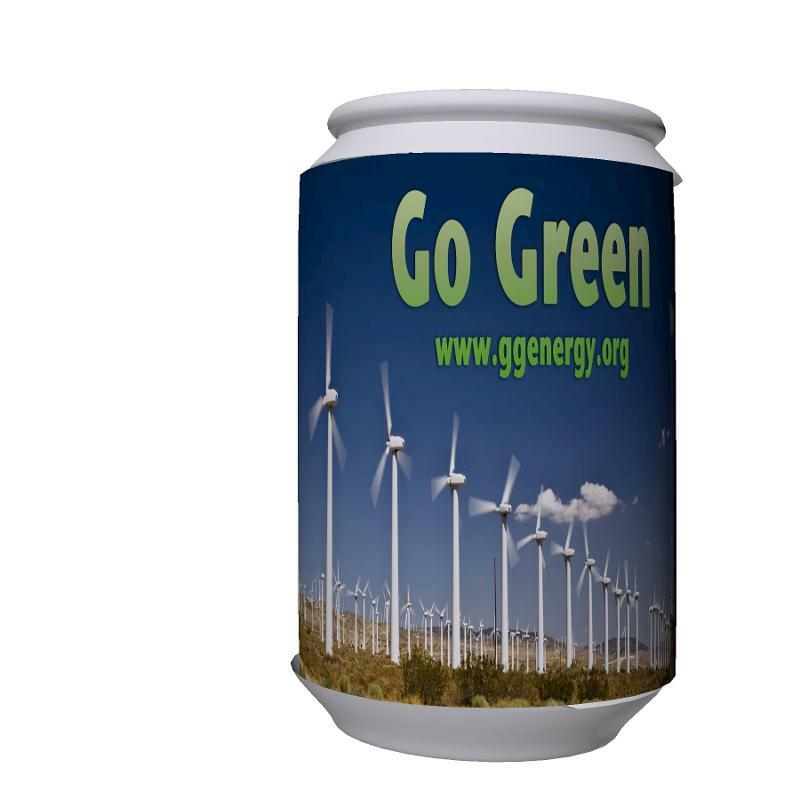 This can has the Go Green banner wrapped around it. Photoshop allows a person to create images in three dimensions. Unfortunately, I cannot demonstrate that on this two dimensional website. This is a collage of the advertising images. Such groupings are a handy way to summarize a presentaton.